Yeah - definitely not submitting to that! It may not be perfect, so feel free to report any issues on the bug tracker that's linked to on the site. I'll update for any bug fixes until the game is inevitably taken down. Sorry for the delay in posting, I kind of forgot about this topic. The good news is that the first full release, version 1.0 of the game will be coming very soon! I'm doing some last minute playtesting and waiting for the next version of the engine to be released. I expect the release date to be by the end of July, so stay tuned! Not sure I know what you mean? I was just posting the changes from the previous version I forgot about in case anyone cared. It's a common thing to post changes. I agree, those stairs look best. I really like the triforce seals on the carpet of Spritonic's throne room though - any change of including those? Overall the castle interior looks great though! HaHA, I had the same thought. I'm still working on compiling all of the credits, so if anyone else sees anything, let me know. My intent was to create a unique style by combining LttP and MC and then adding my own twist where needed. It's been difficult to be consistent at times, but I'm glad you like it! If there are any REALLY OLD members left, they may remember talk of this project a long time ago (think several years). Well, then you'd be surprised to know that it still exists! And it's going to look a lot different than you remember. I've been working on this project off and on for I forget how many years, and it was migrated to a wonderful new engine quite some time ago. The engine is called Solarus (http://www.solarus-games.org) and it was made in C++ specifically to create Zelda-like games. Seriously, check it out, it's sweet. 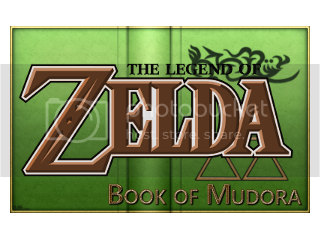 Book of Mudora itself now contains all functionality, items, maps, etc. that will exist in the final version. This world is huge. There will addition of a few more dungeons, more sidequests, more interesting NPCs, etc. in future versions. But to be clear, this is NOT AN ENGINE DEMO or a vaporware project, this is an almost complete (pre-beta) fan-made Zelda game. The most recent demo, as well as screenshots and miscellaneous information can be found on the project's website: https://sites.google.com/site/zeldabom/. If you choose to play test the game, please report any issues or bugs to the github tracker at: https://github.com/wrightmat/zbom/issues.